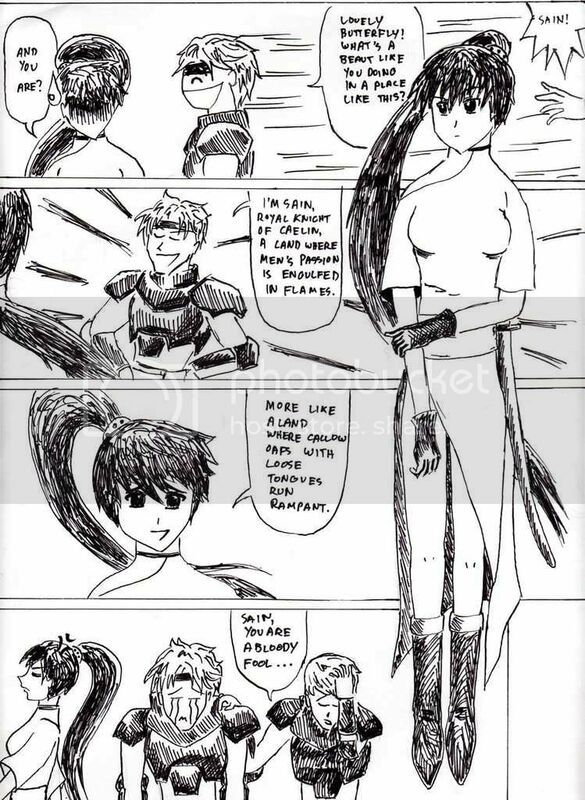 Based on Fire Emblem 7, a game I thoroughly enjoy, this one page depiction of Lyn’s encounter with the two knights Kent and Sain is my only work in which I bothered to ink and present in a semi-professional manner. As you can see, I hold no control over drawing any back drops nor do I possess the skill of drawing interesting panel designs, poses or angles. Nonetheless, it is a hobby of mine. You are currently browsing the archives for the my art category. Jump ship!… on to a new ship. Guest Writer – Anime and phallicity, important issues discussed.